U.S. Sen. Diane Feinstein (D-CA) has called for the suspension of Thoroughbred horse racing at Santa Anita Park in Arcadia, Calif., until an investigation has determined the “cause or causes” of 23 equine fatalities since the current winter meet began on Dec. 26. Feinstein cited federal legislation recently filed in the U.S. House of Representatives, the Horse Racing Integrity Act of 2019, that she said would “attempt to address some of the animal welfare concerns with horse racing” through the creation of a national oversight board. “I would appreciate your views on this legislation and whether additional provisions should be added to strengthen it,” she said. Santa Anita resumes racing on Thursday, April 4, with Saturday's Grade 1 Santa Anita Derby – an important prep for the G1 Kentucky Derby – topping what is expected to be the biggest day of the meeting. Santa Anita cancelled racing for three weeks following a March 5 incident during training hours that resulted in a 22nd equine fatality. The track had been closed prior to that for a period of evaluation of the racing surface. Racing returned on March 29, but a 23rd fatality was sustained on March 31 when Arms Runner sustained a fatal injury to its right foreleg while crossing over the dirt track during a downhill turf course sprint. Santa Anita is owned by The Stronach Group, which also owns Golden Gate Fields near San Francisco. The Golden Gate meeting is running concurrent with Santa Anita, which is scheduled to run through June 25. The current Golden Gate meet, conducted over a turf course and synthetic main track, runs through June 9. Los Alamitos, which operates a year-round Quarter Horse meet, is located about an hour south of Santa Anita in Cypress, Calif. Los Alamitos is slated to conduct Thoroughbred racing upon the conclusion of the Santa Anita meet, operating until Del Mar (near San Diego) opens on July 17. Racing is then scheduled to resume at Santa Anita Sept. 25 and run through Nov. 5, during which time the two-day Breeders' Cup Thoroughbred championships are scheduled Nov. 1-2. 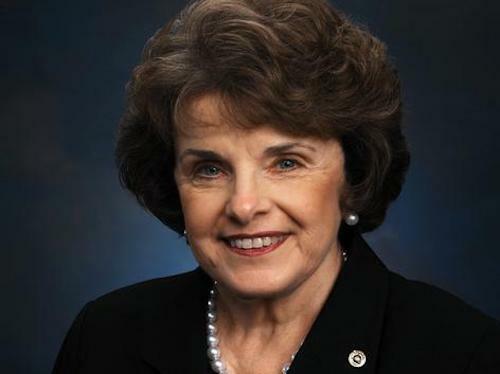 Feinstein, a native of San Francisco, was first elected to the U.S. Senate in 1992. Prior to that she was a San Francisco County supervisor and served two terms as mayor of San Francisco. This entry was posted in NL Article, The Biz and tagged California Horse Racing Board, CHRB, chuck winner, Horse Racing, santa anita, Santa Anita fatalities, Sen. Dianne Feinstein, thoroughbred racing by Ray Paulick. Bookmark the permalink.